We've already explained more than once our undying love of all things Ray LaMontagne. The man with the burnt sugar caramel voice has long been a favorite thanks to his moody lyrics and simply beautiful melodic arrangements. But the combination of he and the album's producer, The Black Keys' Dan Auerbach has made LaMontagne's latest effort, Supernova, has found the brightest musical sweet-spot, making it the perfect album for your sun-drenched summer to be. Trust. From the outset, the album's flavor is delivered on a platter of sun-filtered harmonies and 70s vibes. "Lavender" has flower power in spades, and will cause you to daydream about driving down the California coast like you're some 60s/70s Hollywood iconoclast ingenue — feet out the window as your hand rides the waves of wind that surrounds you in your sweet vintage convertible. Yes, it will cause you that vivid of a feel, you guys. The rest of the album picks and ponders its way in similar fashion, ebbing and flowing in varying measure. 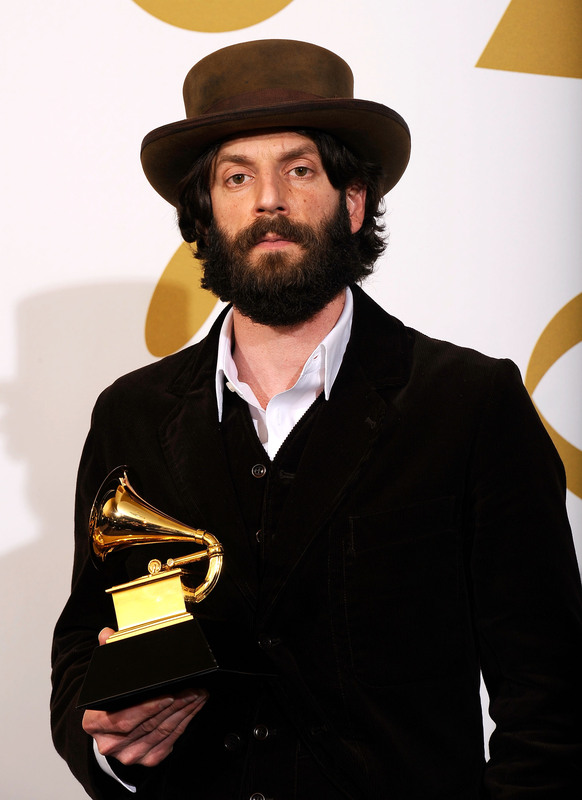 LaMontagne's vocals, equal parts hushed and bravaduous, are the highlight of the album's production. He's taking risks and creating new landscapes in which he and Auerbach can play around. Emotion that, in and of itself brings a specific feeling to the table, is amped up by the album's light tread in its minimal frills approach. "Airwaves" feels like a secret shared between yourself and LaMontagne, with so many of the songs bordering on equal parts precious and profound. But that doesn't mean there isn't that dark-tinge to it that's become synonymous with the singer's work. "Pick Up a Gun" reflects the combination of both sides of Ray — that flowing 70s vibe with that darker, more brooding musicality backing up the equally-as-dark lyrics. It's, honestly, positively spooky. In the best way. There's a heavy dose of 60s Brit-pop on the album, too. "Julia" feels straight-up Beatles-esque without being too an obvious biter of the fantastic four to keep it from being highly, highly enjoyable. "Drive-In Movies" also tips its hat to British songwriting brethren in its tone and tenor. You can tell LaMontagne has shirked his self-confidence issues in favor of having a bit more fun with his music-making. Sweeping melody descents from the likes of "No Other Way" and "Ojai" plant the listener exactly in the time and place the music intends to evoke; the whole thing is filled to the brim with emotional — as well as musical — crescendos. It's hard to even pick a favorite, as the bygone era it elicits still manages to feel completely fresh and original in this form. It's a thrilling evolution for LaMontagne that we can only hope to see and hear more of in the future. But for now we're going to back to daydreaming about putting daisies in our hair.